RO Maintenance Services is at the core of our business every attempt is made to ensure that service is prompt, efficient and reliable. We are amongst the renowned companies in this business and are involved in providing RO Maintenance Service to 0ur customers. These RO Maintenance Services are rendered under the firm direction of our team of well-versed professionals. In addition, these services are delivered as per the convenience of our clients. So as to keep pace with the continually developing interest of our clients, we are included in giving RO Maintenance Service to our valuable clients. 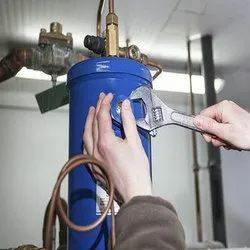 This RO Maintenance Service is rendered precisely according to the determinations given by the clients with a specific end goal to satisfy their each necessities and desires. We give this administration at industry driving cost to our clients. Best quality of RO Purifier Maintenance Service is provided by us to customers as per their requirements. Widely demanded in commercial sector, this Ro Maintenance Service is completed by professionals of our team. Professionals ensure proper working of RO systems to let patrons have satisfaction with our work. Among the services offered by us, we offer RO Maintenance Service to clients at budget friendly prices. These clearing services are highly acclaimed for their timely and efficient provision. The RO Maintenance Service provided by us are highly acclaimed for their reliable and efficient provision. 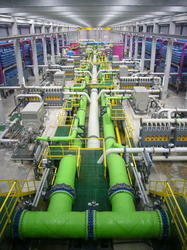 Hi-tech Sweet Water Technologies Pvt.ltd. In order to keep pace with never ending demands of customers, our company renders RO Maintenance Service. Under this service we take care of client requirements, specification and demands with surety of accomplishment in appropriate time. Furthermore, we provide this service by using latest machines and tools. Backed by our expert and experienced professionals, we provide RO Maintenance Service. Jumbo Dweep Beverages PVT. LTD. Since our commencement, we are immersed in presenting an elite array of RO Maintenance Service.